As you work on updating your content marketing strategy as the year progresses, make sure it includes podcasts. Why? Well, about 48 million Americans listen to podcasts, and that number is likely to keep increasing in the near future. In fact, experts predict that revenue from podcasts will reach $659 million by 2020, up quite a bit from $314 million in 2017. If you’re still wondering why you need podcasts as part of your content marketing mix, here are some of the main benefits of adding this technique to your content marketing strategy. When you record a video or write an article, you can only reach people who have the time to look at a screen to watch or read. Granted, most people are on screens for many hours a day, so that may sound fine to you. But do you know what’s even easier than looking at a screen? Listening to audio. After all, you can listen while you drive, clean, exercise, or even work—meaning that listening to podcasts is perfect for multitasking. So when you use podcasts as part of your content marketing strategy, there’s a good chance your audience will have more time to consume your content than they do with content methods that use a screen. When you create podcasts, you open up a whole new slew of publishing options compared to when you create videos and articles. Suddenly, you have access to major publishing platforms with millions of users, like iTunes, for example. Another place to put your podcasts is Spotify, which has over 75 million monthly users—giving you a much larger audience than you’d have if you stuck to videos and articles alone. If you’re already recording videos or writing articles—or hiring someone to create these types of content for you—you’ll be glad to know podcasts take less time and money. You just need a good microphone and software that lets you easily record and edit your podcasts, and then you can start talking about subjects that would interest your listeners. 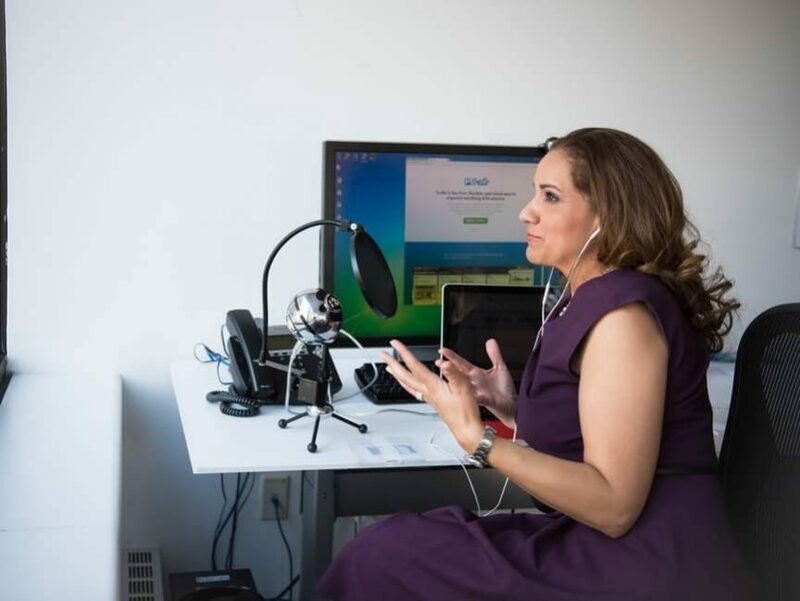 You don’t need a pretty background or even nice clothes like you might for a video, so for many marketers, podcasting feels like a no-pressure option for reaching an audience. You want your audience to feel like they know you and like you, and this is easy when you make sure they can hear your voice on a regular basis. When they hear the passion and confidence in your voice as you discuss subjects that interest both you and them, they’re likely to realize you know what you’re talking about (don’t laugh, I’m serious). You’re knowledgeable and authentic, and that makes them want to listen more since you’re an authority on a subject and/or interviewing someone who’s an expert on a topic that they want to know more about. And that might lead them to not only listen to your podcasts, but also follow you on social media, visit your website, watch your videos, read your articles, and just generally engage with you on a regular basis. Any time your content marketing strategy leads to this result, you’re doing it right! You know how guest blogging is a recommended strategy to use in the world of written content? Well, inviting guests to speak on your podcast provides the same benefits. Not only do you get to expose your audience to other experts in your industry, but you also get a chance to meet people you can learn from. And networking is a major part of marketing! That’s especially the case when your guest podcasters promote the episode to their audience, since now you can reach even more people with your podcast. Variety is the spice of life, and that applies to content marketing, too. You want to reach everyone who might be interested in what you have to say, discuss, or share, whether they feel like reading, watching, or listening. That means your content marketing strategy should include a mix of articles, videos, infographics, and podcasts. You should make your content as easy to consume as possible, and making it available in a variety of delivery methods will help with that. Are you ready to add podcasts to your content marketing strategy? I think that once you dive in and get started, you’ll be glad you did. Shelly Kramer is the Co-CEO of V3 Broadsuite, a marketing agency specializing in the digital space. A 20+ year marketing veteran, she's a brand strategist focused on delivering integrated marketing solutions and helping businesses leverage the web for growth and profitability. She's an expert at content strategy and execution and tying social media to business initiatives. Recognized by Forbes on a number of occasions, most recently as one of the Top 40 Social Selling Marketing Experts and Top 50 Social Media Influencers, she's half marketer, half geek, with a propensity for numbers, producing results and a dash of quick repartee. Her blog has been recognized by Forbes as one of the Top 20 Best Marketing and Social Media Blogs and by PostRank as one of the Top 100 Most Engaging Social Media Blogs.Find her on LinkedIn, Twitter or stalk her blog. You'll be glad you did.